Since last Thursday I’ve been teaching cartoon story lessons with my groups. You may want to try this lesson with your classes, so here’s what we did. If you do try it, please do let me know how it goes down! After a few lessons I banned the students from using the topic of romance/love/relationships for their dialogues. Some SS asked “Why?” and I said, “Because it’s too easy.” The comic strip is rather leading in that direction. Many SS from the first groups used relationship tropes – as in “I’m leaving you…!” or “I’m pregnant! And it’s yours…!” – so when the SS had to think of something else they had to work harder, e.g. making the relationship between the characters daughter/father, brother/sister, student/teacher, customer/shop assistant, and so on, rather than romantic partners. This worked much better. SS worked in pairs or, exceptionally, threes. After about ten minutes each pair came to the front to read out – or act out – their dialogues. (This was the presentation part.) 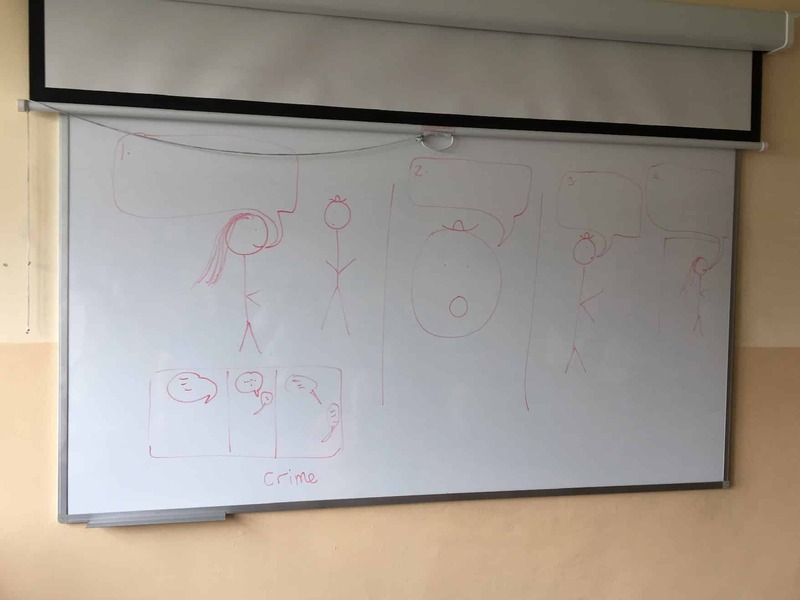 Then I introduced the second exercise of the 45-minute lesson: I drew a series of three blank panels on the board and asked the SS to draw their own comic strip, with dialogue, and with a given topic – in the example above, Crime. The SS had until the end of the lesson to complete this work. I monitored and checked the pairs (and threes) and collected in the work to mark it. 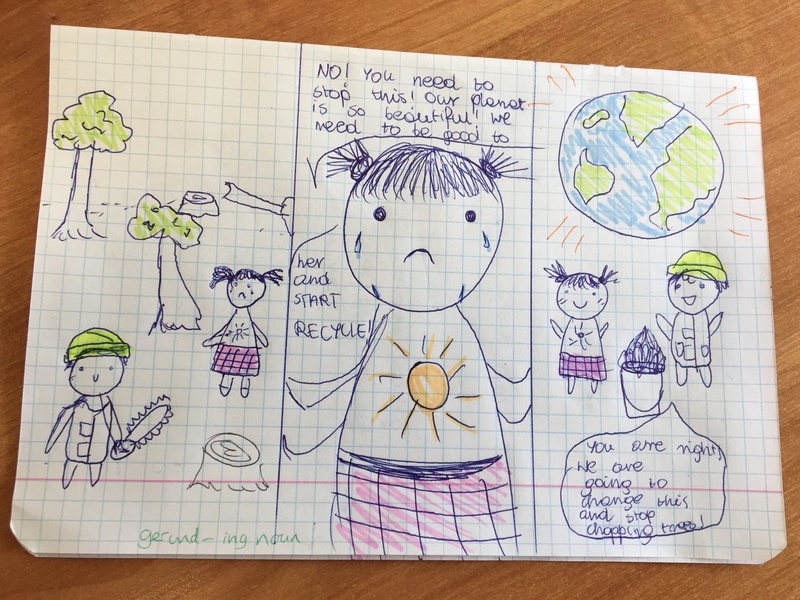 The picture below, by Ola and Ania and reproduced here with their kind permission, was one of the best examples of SS’s work, from a class of 15 year-olds. In this case I had given the SS keywords to include in their comic, rather than a topic. Use the same comic strip, but change the dialogue. Use the same dialogue, but change the pictures. I used this lesson with almost all of my eighteen groups this week, and it evolved over the course of the week. I had started off using an A4 handout with a much longer comic strip, which the SS had to complete and then present to the class. The strip in my picture above was, to begin with, just the warmer. Over time, I realised that 45 minutes wasn’t enough time to do everything and we were getting bogged down in spelling and grammar with the longer comic strip. My job is to get them talking, after all, not writing in class. The concept of the lesson – writing and drawing comic strips – was engaging for most of the SS, even some of those who had been harder to engage in previous lessons, which was a nice surprise. It was a fun lesson with each group. It was great to do a lesson without any photocopying – once I’d ditched the original idea for the lesson. The lesson was easy to deliver, with no preparation and minimal resources: just a board and pens or chalk. The resulting work was easy to mark and give feedback on. We were also able to explore topics like using humour in the cartoons and using our imaginations. Some of the pairs tried to pass off very short dialogues, along the lines of “Hi!” “What?” “Don’t leave!” “Bye!” I didn’t accept these and asked them to redo it. A few of the pairs didn’t feel like producing anything. Some students complained about their lack of creativity. One very bright fourteen year-old guy, with a good level of English, said: “But I’m not creative! What would you do?” I replied: “I would try my best.” The problem was that he was not prepared to try. In the end, he refused to do the activity, so he ended up with some extra written homework. There’s a danger that this lesson becomes about writing skills and grammar/vocabulary, with dictionaries out in full force, when what I wanted most of all was to hear the SS speak. There are still significant (I think) issues with the SS using L1 during the preparations stages and not listening to each other’s presentations. I got fed up with saying “OK! Listen, please!” before each presentation. Some of the SS’s work was a bit, well, boring. Their story might be: “Let’s go to the shop.” “OK. I need to buy some bread.” At the shop: they buy the bread. Result: “Let’s have a sandwich!” “OK!” I encouraged them to include drama or humour in their stories by inserting a problem into the situation: “Let’s go to the shop.” “OK. I need to buy some bread.” At the shop: “Hey! The shopkeeper has overcharged us!” Or, at the shop: “Oh no! The shopkeeper is a dolphin!” … and so on. This entry was posted in Drama, EFL, ELT, English, ESL, ESOL, intermediate, Pair Work, Resources, Teacher Training, Teaching, Teaching Blog and tagged drawing, free, fun, imagination, learning, teaching, teaching blog on April 17, 2018 by admin. When I created these resources a few years ago I spent hours researching each one, and learned so much about modal verbs – and would, in particular – in the process. 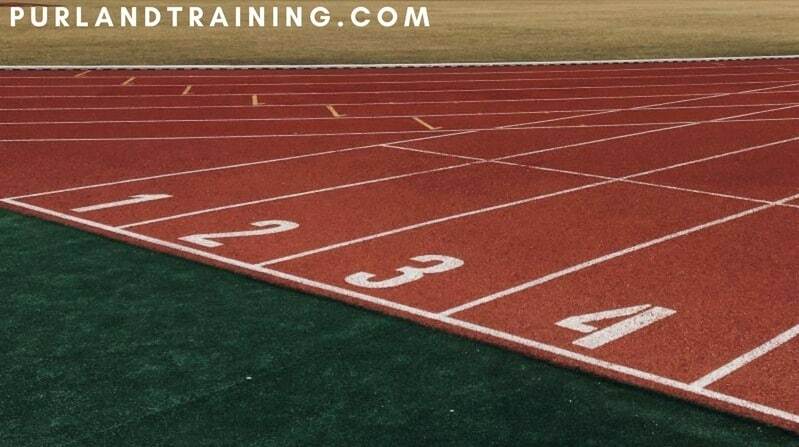 That’s the great thing about writing resources for teaching English – you increase your subject knowledge massively by doing the research and testing the materials in class. Each worksheet pack has an accompanying podcast too. I was going to do one on ‘clothes’ or ‘furniture’ or another such ESOL-ly subject, but then I thought: what about Brexit? The words started coming immediately: Michel Barnier, Nigel Farage, March Twenty Ninth (2019), Remainer, Brexiteer, and so on! I had to get to work right away. You can do the wordsearch puzzle here. I never think it’s relevant to talk about my political views when I write resources and blogs and create website, so I don’t really want to do that here. I wonder if you can guess from the wordsearch what side of the Brexit fence I’m on? Answers on a postcard (made in Britain), please. This entry was posted in Blog, English, Materials, Resources, Teaching, Teaching Blog, Wordsearches and tagged blog, Brexit, modal verbs, resources, teaching, wordsearch on March 30, 2018 by admin.